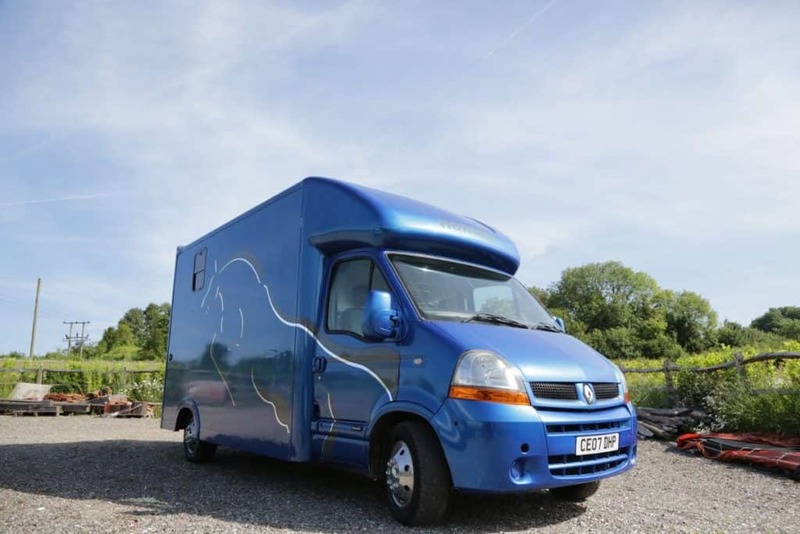 This horse box is built on an ’07 Renault Master, has completed 97,700 miles and had a cam belt change in Feb 2016. 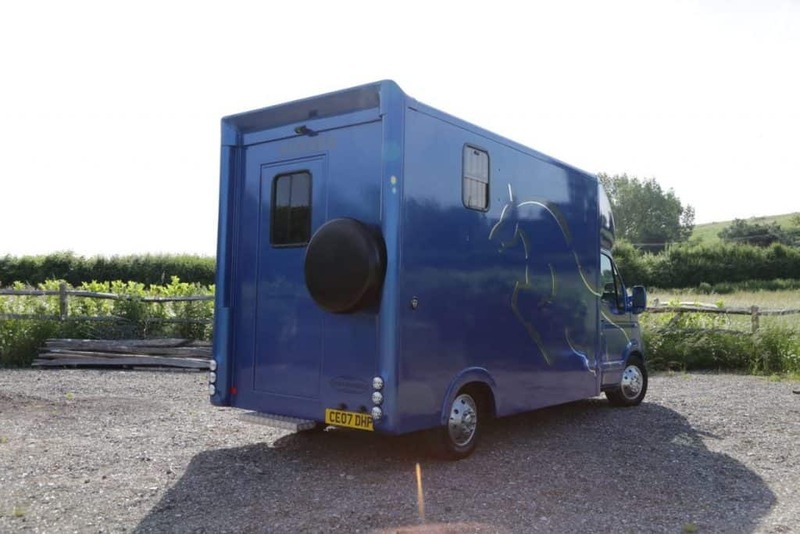 Provided with a new MOT and a battery isolation switch, this easy to drive horse box has 3 seats in the cab all with 3 point seat belts, a radio / CD player, remote central locking and power steering. 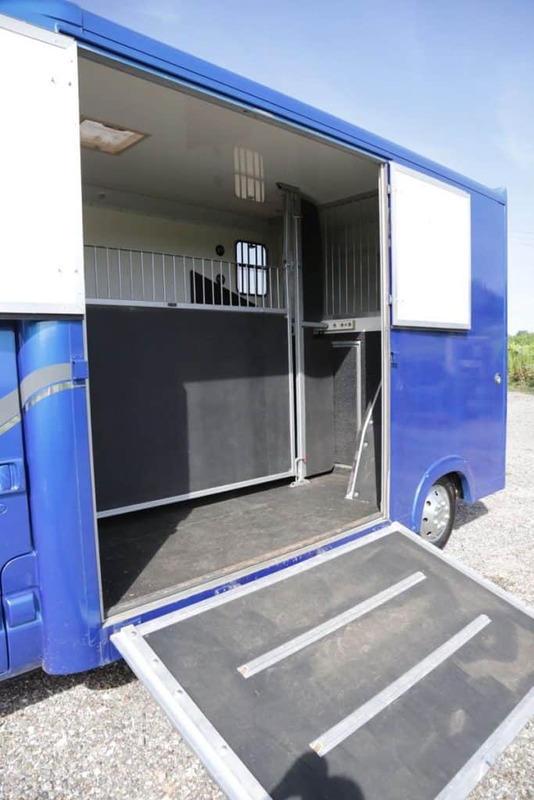 There is also a spare wheel mounted at the back of the vehicle and twin camera CCTV to use for reversing and to view the horses in transit. 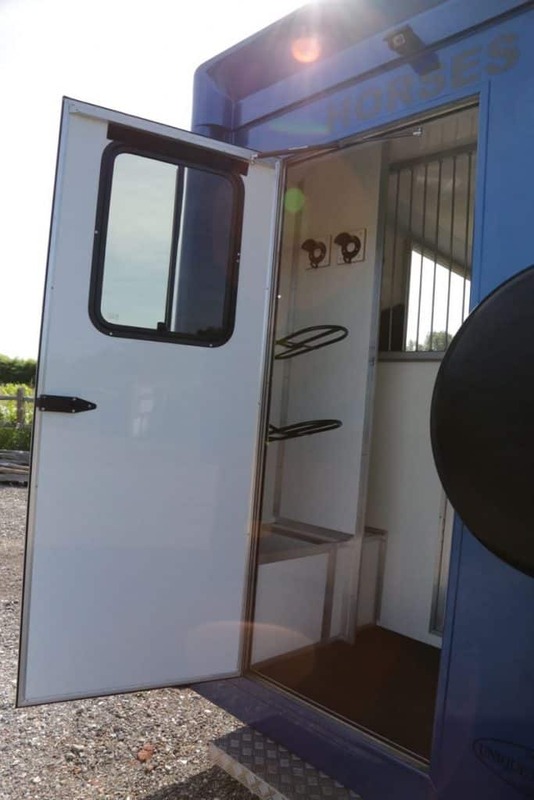 The compact groom’s area, accessed via a lockable door at the rear of the vehicle has plenty of storage, including a hanging rail, coat hooks, 2 saddle racks and 2 bridle racks. 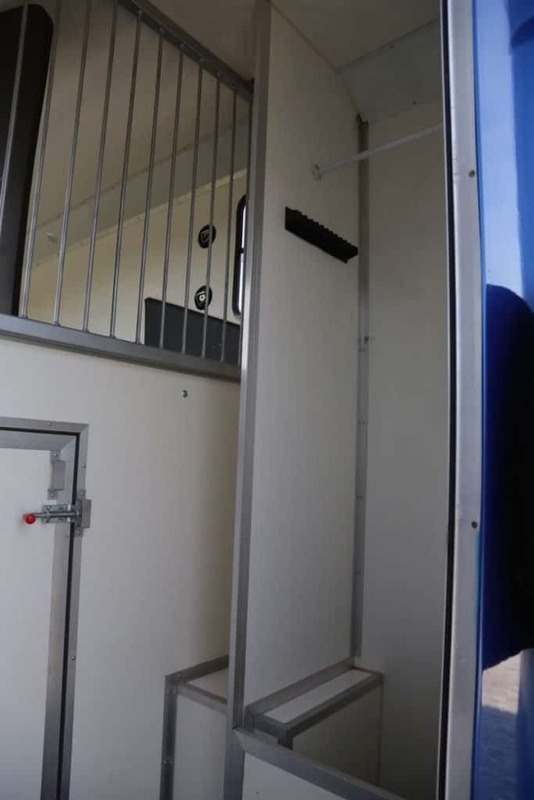 A jockey door leads into the horse area from the groom’s compartment. 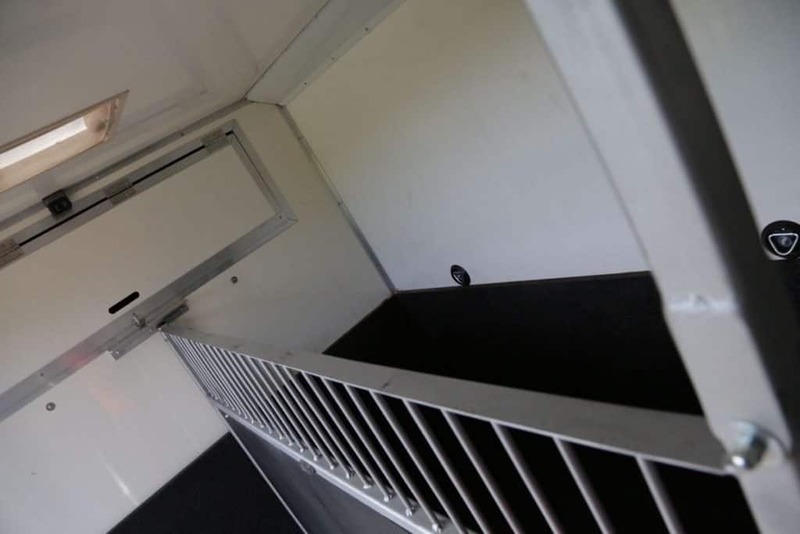 There is additional storage in the luton, accessed from the horse area. 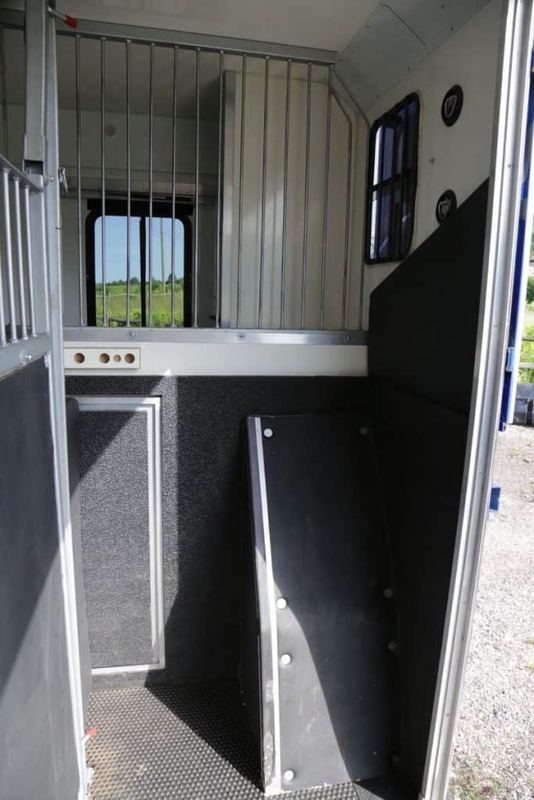 The horse area is stalled for 2 with a custom-made stallion partition with no breast bars, made by Peper Harow Horse Boxes. 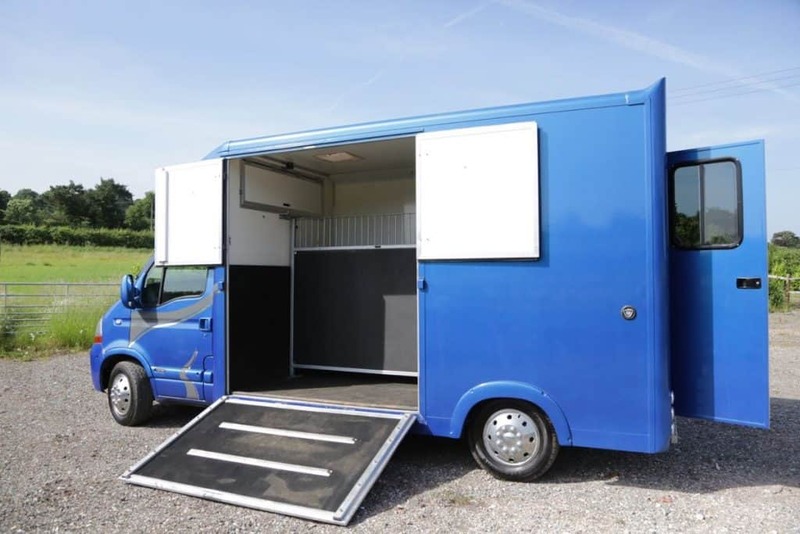 A side load, easy up ramp with rubber matting leads into the horse area which has an aluminium floor and rubber mat covering, added by Peper Harow Horse Boxes in February 2016. 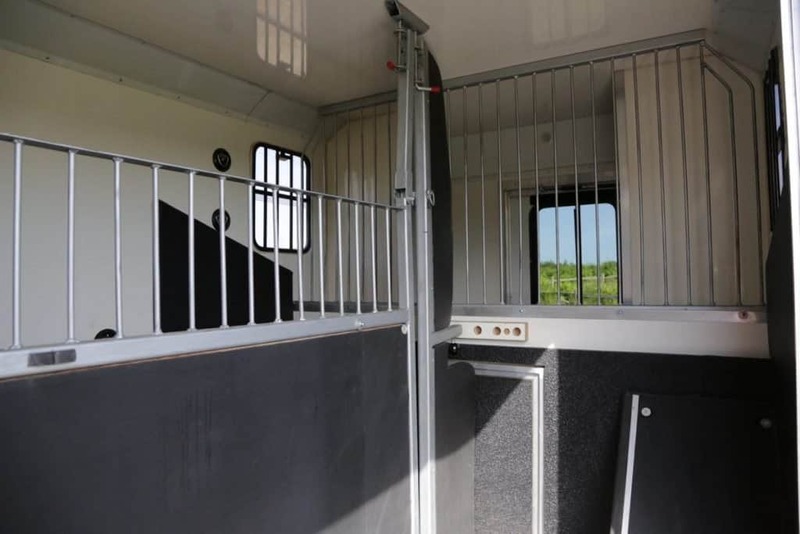 There are plenty of tie rings inside and out, as well as two opening windows and one roof vent to provide plenty of light and ventilation. 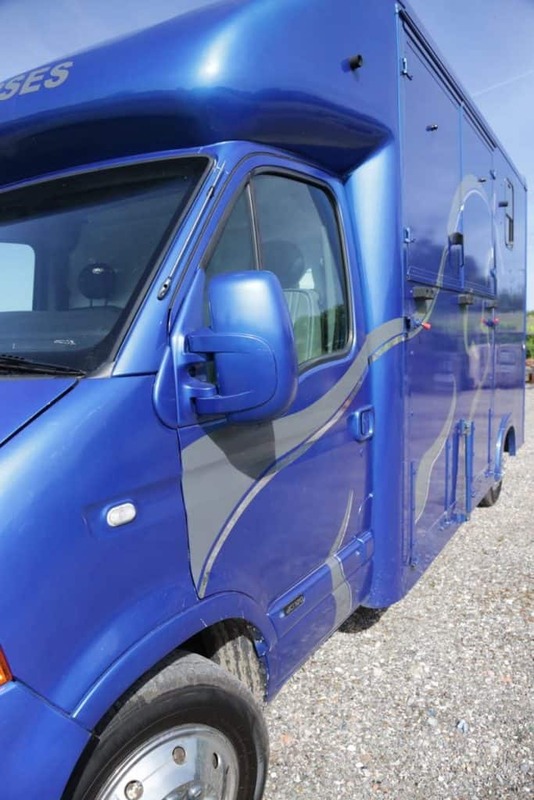 For sale on behalf of a client so no warranty implied or given but all inspections welcome. 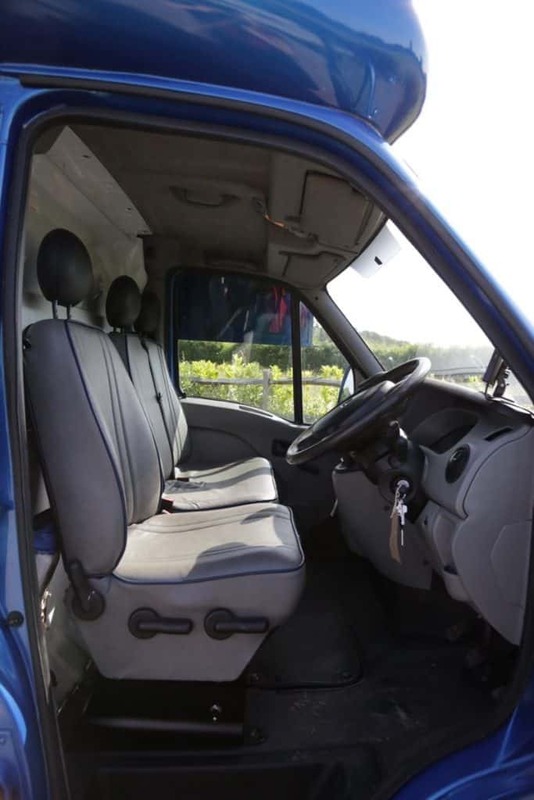 Please note – the original vehicle has been classified as Cat C by the insurance company due to damage to the rear doors. 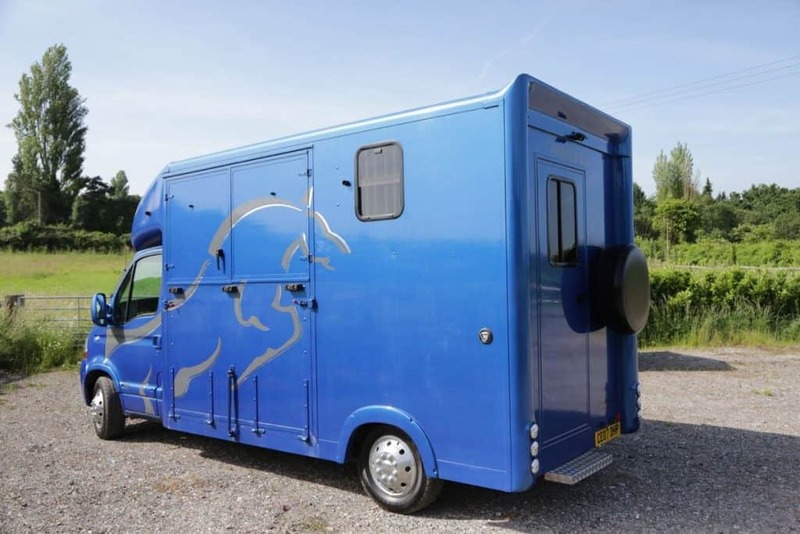 This body was removed and replaced when coach building this horse box. 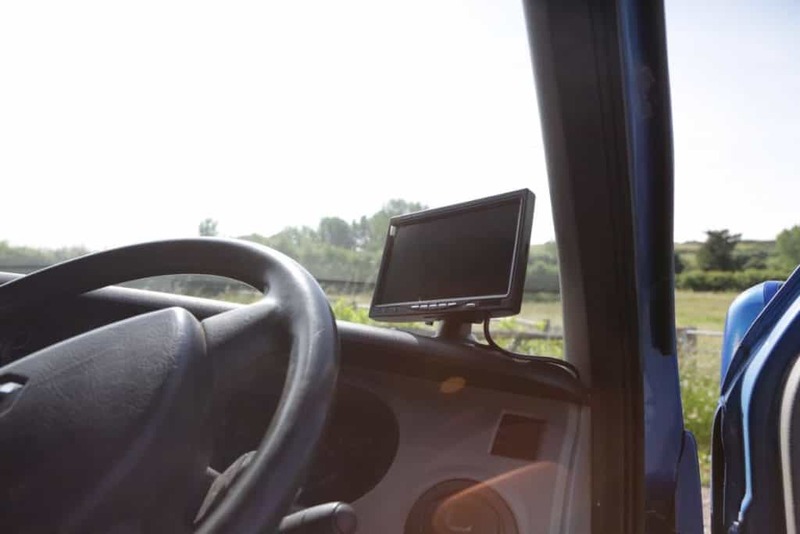 We have fully inspected all aspects of the vehicle and are happy that it is safe and well constructed.